Thank You Father God for Jesus Your Son, that He was willing to come to earth and be born as one of us. We thank You for His birth, His life, His death, His resurrection and His ascension into heaven and the sending of His Holy Spirit to be with us as our comforter and guide. 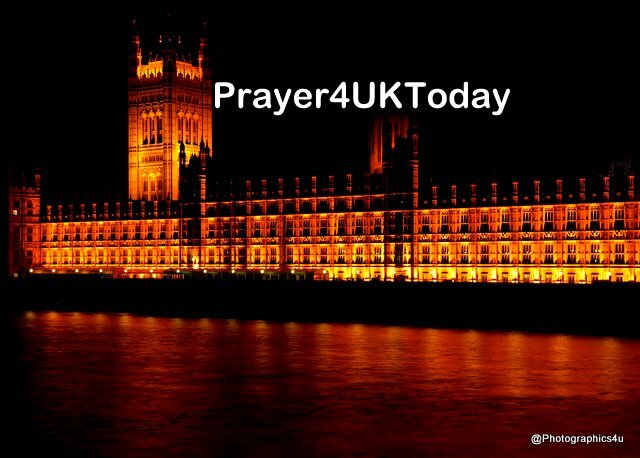 We thank You Heavenly Father that because of Your Holy Spirit’s work in our world there are many individuals and families and churches throughout Britain who confess Jesus Christ Your Son to be their personal Saviour Lord and Master. We pray Your blessing on each of these individuals today that You will bathe them each one with the precious Blood of Your Son Jesus from the tops of their heads to the tips of their toes, in their Spirits, Souls and bodies. Please fill us all to overflowing with Your Holy Spirit and His fruit of Love, Joy & Peace. Please give each one of us the grace we need to intercede for our unsaved family members, our unsaved neighbours and those not saved as yet in our places of work. Give to each one of us two ministering angels from Your throne room and command these Holy angels to help us complete everything on Your individual daily life list for us. Command them also to close firmly every door and window that You do not want us to go through and to open wide every door and window that You do want us to go through and to move each one of us gently but firmly towards these open doors and windows and to see us through them each day of our lives. We pray that You will cover with the Blood of Jesus Your Son each unsaved person throughout the whole of Britain from the tops of their heads to the tips of their toes in their spirits, souls and bodies. Remove their stony hearts and replace them with hearts of flesh. Give to each one the grace they need to say “Yes” to Jesus Christ Your Son as their own personal Saviour, LORD and Master. Give to each one of them a Deep Hunger for Your Word. Speak to each one through dreams, visions, Damascus Road experiences and all other means that You know they will respond to. Also, heavenly Father, give to each one of these unsaved persons two Salvation ministering Holy Angels from Your throne room and command these angels to bring Salvation to their protegees. Command them also to close firmly every door and every window You do not want their protegees to go through and to open wide every door and window that You want them to go through and to move them gently but firmly towards these open doors and windows and to see them through them throughout every day of their lives.